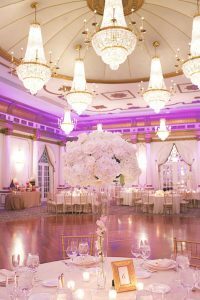 Tall, short, lavish, intricate, minimal, illuminated, or themed are just a few varieties of centerpieces. With so many options and possibilities, it can be tough to know exactly what you want. The right centerpiece is the focal point of your dinner, and can say a lot about your wedding. 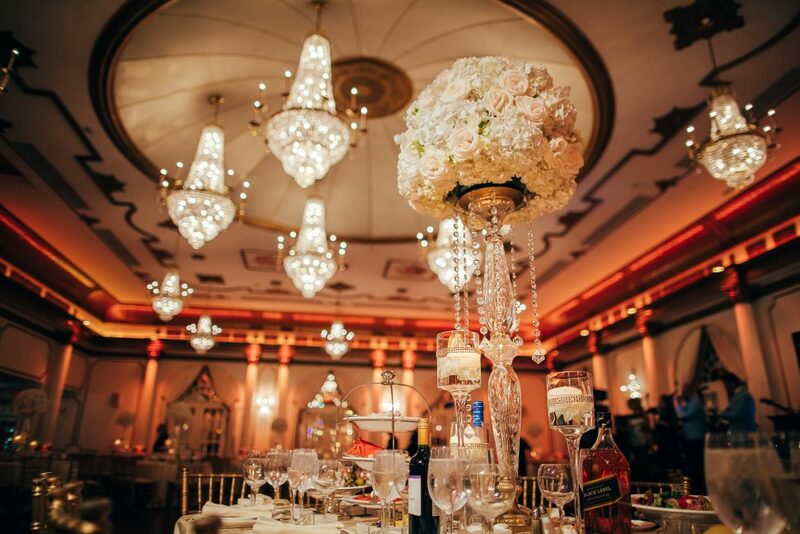 Height is an extremely important factor when selecting your centerpiece. 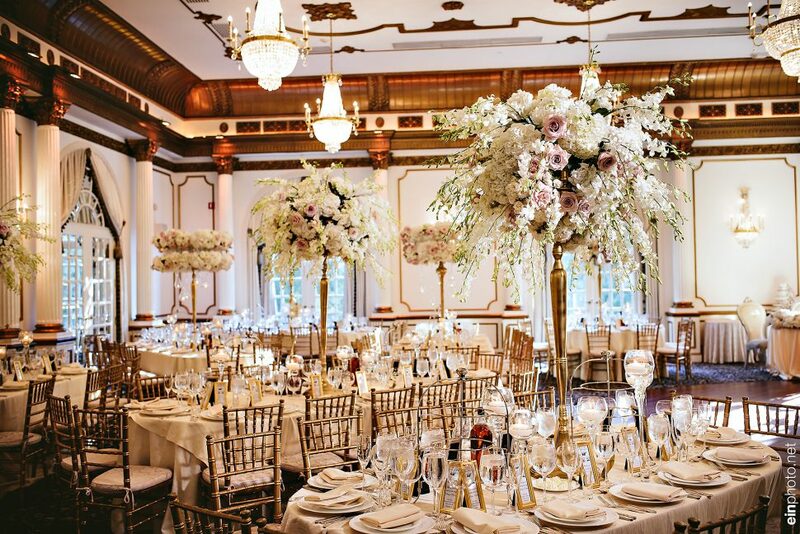 Tall vases will allow guests to converse and see across the table, while allowing for extra table room; whereas short/flat centerpieces would take up space, but the centerpiece design would be more visible. Finding the perfect balance can be tough. Centerpieces that are too high might be distracting and take away from the other décor in the room. Set the centerpiece in front of you at a table to gauge how the height of your desired centerpiece affects your visibility. Minimalistic centerpieces allow other objects on the table and in the room to be the focal point. They help create the ambiance but do not steal the show. Take a minimalistic approach to your centerpiece to let the chandalliers take control of the room, let the lighting set the mood, or show off your intricate plate design. You can spruce up your minimalistic centerpiece with small candles to add an extra layer without drawing too much attention. This idea also works very well with fall or winter weddings. Bare branches or mini trees create a whimsical feeling of winter. 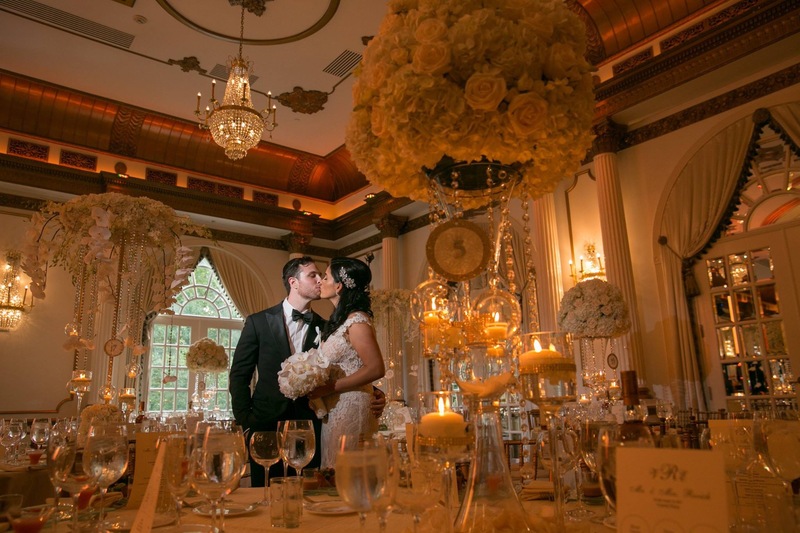 Opt out of the traditional flower centerpeice and choose a candelbra. 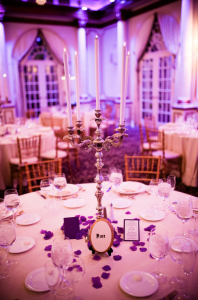 With Crystal Plaza, Candelabras are included with 5 candles. Emphasizing simplicity, this approach to your centerpiece can be used to create a feeling of classic elegance. Spruce up the cadelabra by adding greenery. You can play up or down the greenery to mold your centerpiece into your own personal flare. A simple way to select the centerpiece you want for your wedding is to make it tie into your overall wedding theme. Sometimes it’s hard to consistently convey the theme throughout the wedding. 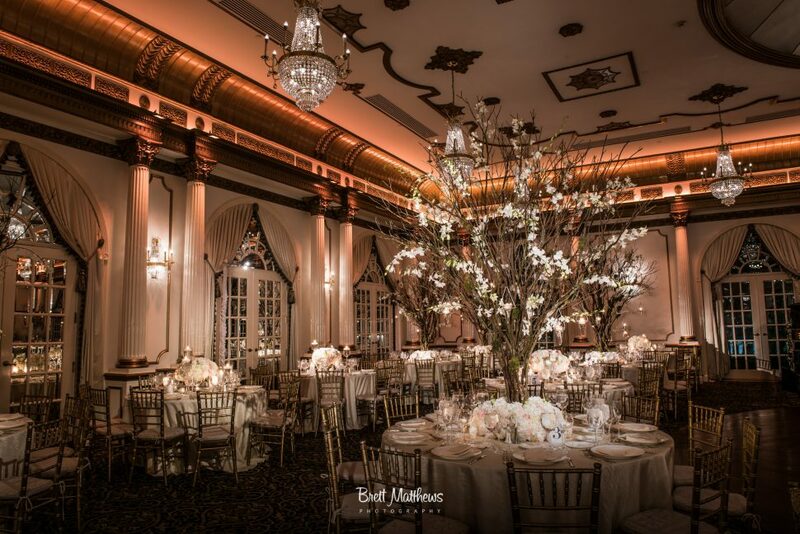 By implementing it into your centerpiece, you can tie your theme into your reception without it being ignored or overly abundant. Pairing a simplistic or minimalist element with a lavish one creates a juxtaposition in your décor that can elevate your table décor. By pairing a large bouquet of flowers in a simple vase, you can help create an ambiance that is sophisticated yet youthful. You can utilize a hint of color to add more depth and interest to your centerpieces. Not every centerpiece has to be the same! 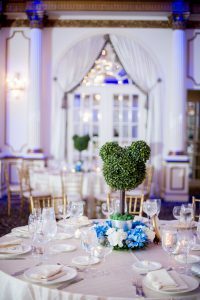 You can alternate 2-3 centerpieces throughout the ballroom. 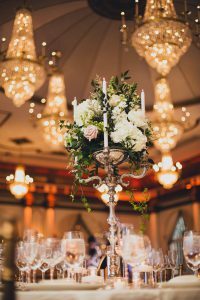 These centerpieces can vary in height and elaborate nature. Try keeping the same color pallet or flower range to maintain consistency throughout the room. This mixture of different elements will add interest and depth to your wedding décor while striking awe amongst your guests. Designing and selecting your dream centerpiece is fun and exciting. It draws your guests in, contributes to the overall feeling of the room, and can really tie your wedding theme together. For more wedding tips, be sure to follow us on Facebook and Instagram. Header photo by Greyline Photography.